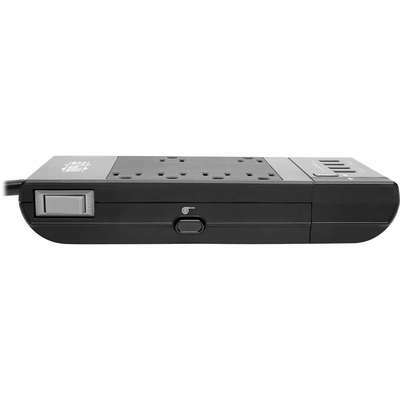 Recommended for your home or office workstation, the TLP66USBR Protect It!® 6-Outlet Surge Suppressor features a surge protection rating of 1080 joules to defend your sensitive electronic components against strong surges and spikes. In fact, Tripp Lite will repair or replace any connected equipment damaged by surges, including direct lightning strikes, up to $50,000 for life (valid in the U.S., Canada and Puerto Rico only). Because residential power outlets have three wires-hot line (H), neutral (N) and ground (G)-the TLP66USBR protects all three, covering the two protection modes: full normal mode (H-N) and common mode (N-G/H-G). It also filters out electromagnetic interference (EMI) and radio frequency interference (RFI) that can disrupt your electronics and inflict hardware damage or data loss. 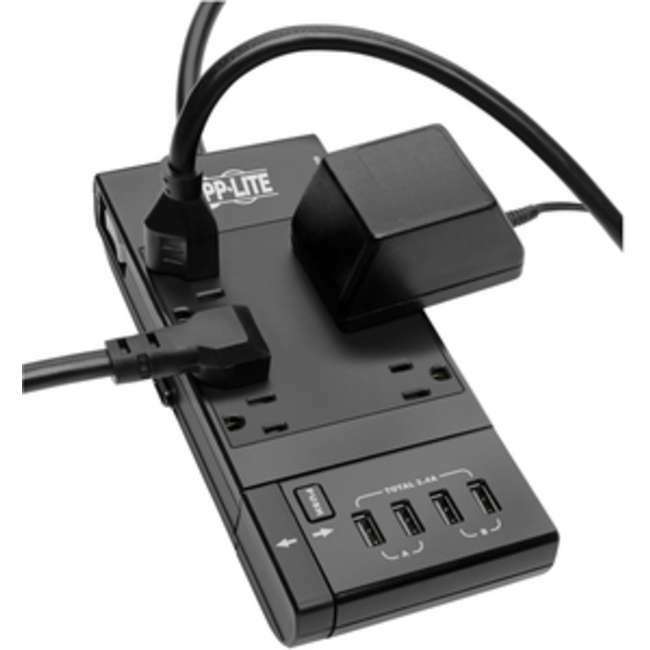 This surge protector features six NEMA 5-15R outlets, two of which are spaced to accept bulky transformers without blocking adjacent outlets. A retractable USB charger with 4.5-foot cord clamps to your desk or other work surface for easy access. Its four USB-A ports share 3.4 amps for charging connected mobile devices, such as tablets and smartphones. 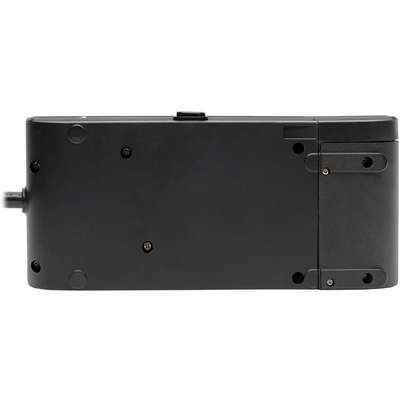 An integrated 15A circuit breaker protects all outlets and automatically shuts down connected equipment in case of overload. The lighted on/off switch provides one-touch control over connected equipment. The six-foot AC power cord with NEMA 5-15P plug reaches nearby outlets to fit easily into your workstation or home theater setup.